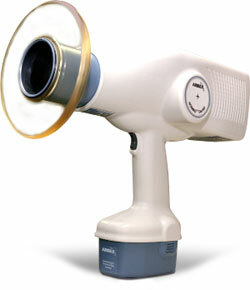 Now true portability in x-ray technology! The NOMAD offers cordless hand-held operation, running on rechargeable battery packs. More than 100 exposures on one battery charge. Optimal for remote use, the NOMAD is contained in an easily transportable case with pull-out handle and wheels. Perfect for humanitarian & missionary work or to conveniently move from station to station in a clinical setting. Ease of operation - Fixed high voltage (60kV) and Current (2.3mA) - the only operator input is the exposure time. Very lightweight - less than 9 lbs (4kg) and provides complete flexibility and convenience to move from chair to chair throughout the office. Operator Protection - External backscatter shield and internal radiation shielding protects the operator from radiation exposure. 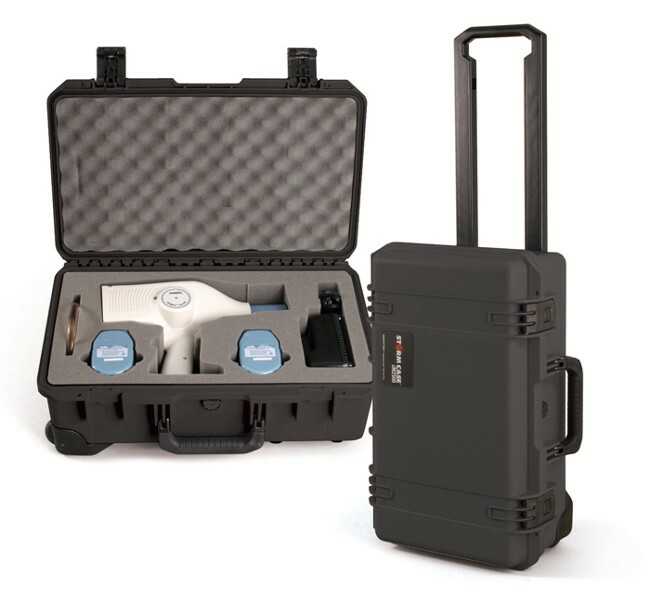 The ARU-06CE system includes two rechargeable battery packs, backscatter shield, battery charger, transport case, and NOMAD x-ray. System is also available without the transport case and the option of a 220 volt battery charger. 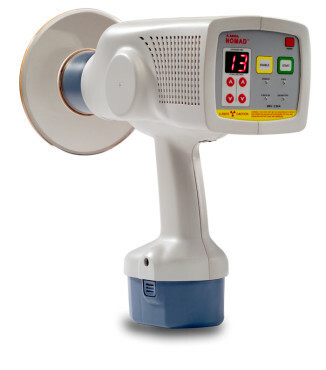 Allows for easy travel and on the go doctors to protect the Nomad X-ray unit. Secure strong case is Ideal for the traveling dentist or mission field work.